After 12 months of work, almost 80 projects, 380 committers, 352 contributors, and 65 million lines of code, we’ve finally arrived at Eclipse release week. Eclipse will ship on Wednesday June 24th, and that means we’ve arrived at the Top 3 Features in my annual Eclipse Top 10 List. Eclipse has shipped with Git support since 2011. While the tool has improved significantly over the years, many developers would still drop to the command line for custom tasks. One such example is the use of Git Flow. Git Flow is a branching model that places meaning on different branches. Each feature is developed in its own branch, and merged into a standard ‘develop’ branch. To perform a release, the ‘develop’ branch is merged into master. There are tools to help simplify this process. 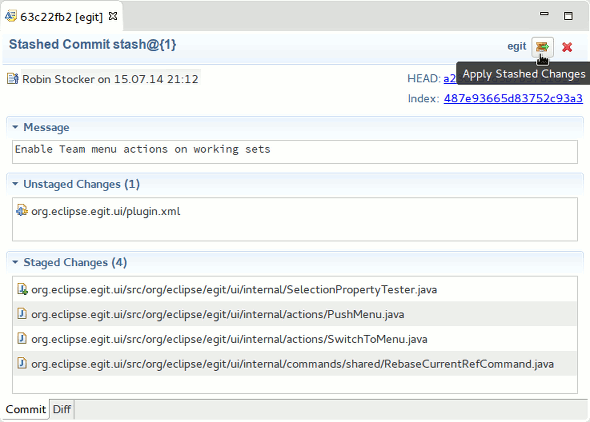 With Eclipse Mars, there is now support for Git Flow directly from Eclipse. 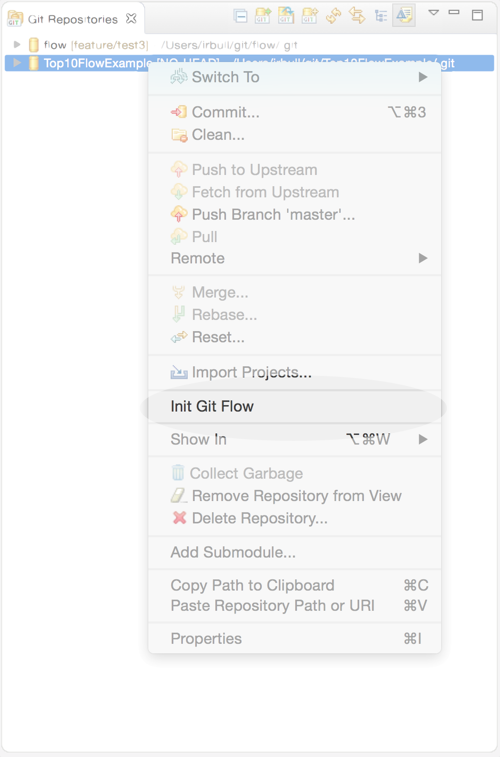 From the repository view you can initialize ‘Git Flow’. 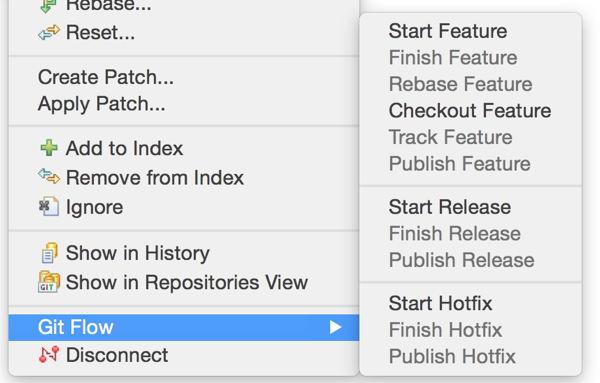 Once initialized, you begin working on a new feature directly from the Git context menu. This will prompt you for the name of the feature, and automatically create a branch. At any time you can checkout any other feature branch to easily move between tasks. And once a feature is completed, simply marking it as such will merge it into the correct branch. There are also release tools available to merge the development branch into the master branch; and finally, hot-fixes can be initiated and applied to the master branch through the context menu. 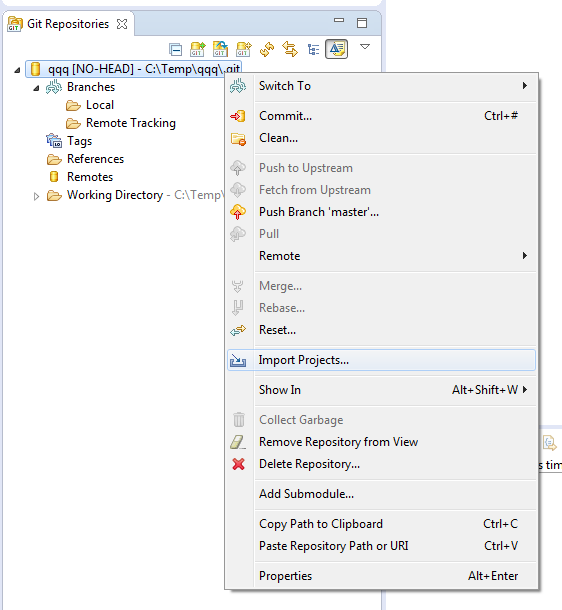 In addition to Git Flow integration, the Git Tools for Eclipse saw a number of enhancements this past year. If a file is in conflict, the staging view will now show options to ‘Checkout Ours’ or ‘Checkout Theirs’. This allows you to easily restore the file to the state it was in before the conflict. Some new features were added to interactive rebase view and history view in September 2014 (EGit version 3.5) as well as improved stash support. A stashed commit can now be applied directly from the commit viewer. For a complete list of what’s new in the Eclipse Git Tools for Eclipse, checkout the New & Noteworthy, and for more Eclipse Tips & Tricks, follow me on Twitter. Thanks for pointing this out. I just checked, and it appears that you must install “Eclipse Git Team Provider – Gitflow support”. It’s in the Eclipse Mars update site (Help->Install New Software). I must have done this when I wrote the blog and forgot about this step. Thanks! The Gitflow support does not actually follow git-flow correctly – it doesn’t add –no-ff when merging. Looking into it further, the claimed gitflow support is NOT gitflow – it doesn’t merge correctly, it doesn’t tag correctly, it doesn’t even branch correctly.